Nowadays, the great demands are being made on waste processing and storage. After waste processing it is necessary to find some economical solution for further storage or possible utilization. Different kinds of sludge are a specific sort of waste and contain apart from liquid elements also solids. The origination of sludge is different. Sludge can be produced during a technological process in different industries or simply in households. Sludge processing is carried out in the wastewater treatment plants in a couple of phases. The last phase is sludge dewatering, during which water is separated from solids. 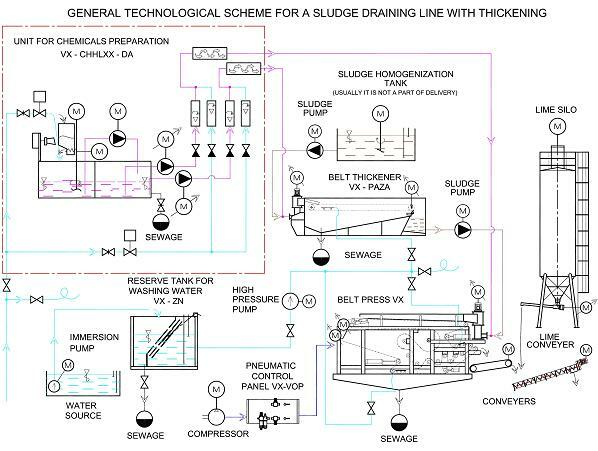 Sludge dewatering and pressing on belt presses is a traditional and effective method. The output of the belt press is depending on the output of the whole line. The most important component of the line is a belt press. Our company manufactures belt presses in a couple of standard sizes based on performance requirements. Sizes and dimensions of our standard presses are in a below table. 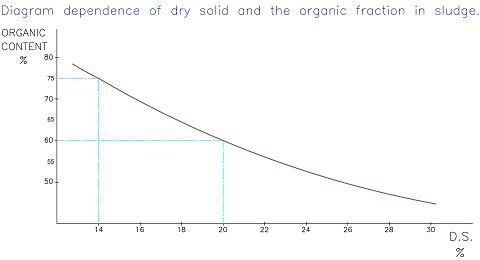 The assumed output dry matter from the Belt Press is 18–30%. If it is required to increase output dry matter, mainly when pressing industrial sludge, it is possible to achieve it by using a special high-pressure Belt Press VT type. This belt press has the high-pressure zone, in which output dry matter is increased by 5–20 % depending on the kind of pressing media. The output and quality parameters depend mainly on physical parameters of sludge, type of used flocculants, sieves as well as the quality of attendance.  As a part of delivery VANEX optimizes individual parameters and selects appropriate type of flocculants. The entire dewatering line contains units which are pictured in the below technological scheme. In concrete cases the line configuration depends on customer`s requirements. The Belt Press secures sludge dewatering. Sludge is fed into the Belt Press through the flocculation plant VX-FZ direct on to the upper sieve, which also acts as a thickener and after fall on to the clean bottom sieve sludge is turned over. With such a solution the gravity separation of water from sludge can be extended up to circa 6 m (not applicable for the belt press VX-GORO). This solution also enables processing of non-homogeneous sludge with low inlet dry matter under 1%. flocculant solution for increasing of separation efficiency of the belt press. The flocculation plant VX-FZ is made of stainless steel. Speed is controled by frequency converter. The technological line is controlled from the control panel VX-OP and it is recommended to place it on the platform of the Belt Press. The operating personnel can comfortably control the entire pressing process from this panel. Electric power is supplied from the main distributor VX-R to the individual components of the line. It is recommended to place it into the separate room. VANEX can also integrate into the inscribed distributors other components or blocking conditions (after consultation with a locality project engineer) that are not a part of standard delivery. Sludge is usually dosed with a displacement scroll pump. It is recommended to homogenize sludge before pressing, so the sludge properties do not change during process or change as little as possible. By this precautions necessity of attendance impact into the pressing process can be minimized. In case of non-homogeneous sludge processing and inlet dry matter changes, it is obligatory to change the volume of pumped sludge fed into the Belt Press. This change of dosed sludge volume is ensured by the frequency converter, which is controlled by the potentiometer on the belt press control panel VX-OP. Flocculant solution is added into sludge before flocculation plant VX-FZ. The volume of pumped flocculant solution and diluting water is measured in built-in rotameters. Pumping volume readings can be displayed on a display of the control panel VX-OP eventually on PC. After flocculation, sludge is fed from the flocculation plant VX-FZ direct on to the upper filter sieve of the belt press. Flocculant solution is being prepared in an automatic cycle and there is no need to control the cycle in the chemical preparation plant VX-CHH-DA. The only duty of operating personnel is to replenish the reservoir for powdery flocculants. The capacity probe scans the volume of powdery flocculants in the reservoir. If there is a lack of powdery flocculants, attendant will be warned by a hooter. The solution concentration can be adjusted with a potentiometer in the main distributor of the plant, which is placed on holders on the front side of the plant VX-CHH-DA. The dose of pumped solution can be also changed through the frequency converter with a belt press potentiometer located on the control panel VX-OP. The chemical preparation plant can be delivered in VX-CHH-DAP version, which contains a memory that ensures cycle continuance in the case of power supply failure. Thickeners can be used before belt presses (eventually before a digestion tower etc.) when processing sludge with low input thickening. These thickeners can thicken sludge from 3–10% depending on sludge properties. Condensed sludge falls direct onto the horizontal gravity zone of the belt press (slippage must be as small as possible so the floccules of condensed sludge do not get broken). In this case it is sufficient to dose flocculants into one point before the thickener. Condensed sludge falls into the interrupting tank from where it is fed into the belt press by another pump. In most cases it is necessary to dose flocculants also between the thickener and the belt press. The chemical preparation plant VX-CHH-2DA doses flocculant solution. Number "2" means that the plant has 2 independent pumps, one for the press and the second one for the thickener. Both pumps are controlled from the control panel VX-OP, or from other required place. It is recommended to pump washing water through the plastic tank VX-ZN with high-pressure pumps. In this tank there is an imbedded stainless sieve that intercepts any dirt in the incoming water to prevent from pump damaging or fouling of belt press splashing jets. We recommend pumping of clean water from water treatment plant outlet to the tank pumped by the immersion pump, which is controlled by immersion sensors according to the water height level in the reservoir tank VX-ZN. Another possibility is feeding of compressed water from technical water distribution in the area with electro-magnetic valves eventually through a flout valve. In case that there is a locality with not available compressed air for regulation system of the belt press (eventually thickener) and tensive system of the belt press, the line must be equipped with a compressor. The control of the compressor is automatic, switched on together with the start of the line. Pressed out filtrate and splashing water is drained from the belt press through polypropylene canals and flumes into the concrete bath under the belt press which is a fundamental for the belt press. Filtrate and water for filter belts splashing is usually drained to the inlet of the waste-water treatment plant. We recommend that Sludge cake is taken away with the belt conveyors produced by VANEX. VANEX manufactures two types of belt conveyors VX-PD and VX-PDN. The belt conveyors VX-PDN are lower in comparison with the conveyors VX-PD and they are manufactured with the compact non-dismountable construction in lengths from 2,5 to 6 metres. The length of VX-PD belt conveyors can be adapted according to the customer`s requirements in different lengths from 2,5 to circa 20 m.
Both types of belt conveyors are low speed ones (longer lifetime). Another possibility of sludge cake draining is a usage of scroll conveyers. However, the scroll conveyers with their mixing properties optically reduce dry matter output of sludge cake. These conveyers are mainly used in the lines with powdery lime hygenization, such as application of sludge in agriculture.